Several days ago, I shared a photo on Facebook. Not a personal photo. Just a photo of some words that, on that morning especially, were relatable for me. It crossed my mind that it was likely relatable for others too, so I shared the photo and moved on. I was already feeling this before my workday started on Monday. Although my son loves school and both of he and my daughter enjoy their babysitter, there is inevitably at least one day each week when one of them clings to me a little extra in the morning and expresses their wish that I could stay home from work with them that day. Also inevitably, that is among the hardest moments of my week. Monday morning happened to include that moment with my daughter. I’m blessed with a good job. It is enjoyable, interesting work in a healthy environment with a solid team of people. I’m grateful for it and challenged by it daily. No matter what though, I am a mother. I am always first responsible to my family and then to everything else. So I work extremely hard to balance it all (again, a statement that so many of you can relate to, undoubtedly). Workdays, meetings, projects, schooldays, doctor appointments, drop-offs and pick-ups, mealtime and playtime and bedtime and everything in between. Balance is a constant goal. On Monday afternoon, I had a brief meeting with my supervisor. A generous, flexible woman who knows the life of a working mother, I’ve been thankful for her understanding in this balancing act. Among other topics covered in this meeting though, she shared that someone in our office had voiced complaints about my comings and goings. This anonymous individual was bothered by what they felt were too many times I had to adapt my schedule to those school and sitter drop-offs and doctor appointments and sick kids and so on. While I was in no way reprimanded or told to stop adapting my schedule to those needs, I still can’t dismiss the disappointment that this is what someone thinks of the work I put in at my job. Whomever it is doesn’t necessarily know about the number of days in which I work through lunch, or the nine, ten, or eleven hours I put in when I’m working from home while simultaneously caring for my children. They don’t necessarily know why I arrived at 8:10 instead of 8:00, or why I had to work remotely from my home unexpectedly. They see what they see and form their opinion. I’m going to be fully honest here. I want to look that person straight in the eye, possibly grabbing them by the collar, and say this: “I am doing the best I can do.” I want to inform them that I already know it will never be enough. Their input is not needed for me to know this. It crops up in articles, books, and social media posts with head-spinning frequency. I’d even wager that the image I used above was designed to serve that message. Those words are the mantra of many tired, over-extended, trying-to-meet-all-expectations women, and they are a lie. I am not enough. You are not enough. If we ever want to stop striving until we break, we must admit this. If we want to quit the worldwide, olympic-level competition for Instagram-worthy perfection on the surface while we are unraveling when no one is looking, we must admit this. If I were enough for my children, they would not need their beloved father or their dear grandparents and extended family. If I were enough, I would not need my husband’s partnership and love. If I were enough, I would not need my teammates and managers at the office. If I were enough, I would not need my church community, my writing community, my health and fitness community, my neighbors, or even those most precious friends who know the real me. Above all, if I were enough, I would not need my Lord. Certainly, I can understand the intentions behind the popular message of being enough. It is answering the emptiness countless men and women carry inside of them. It is speaking to the ways we punish ourselves for not living up to our or others’ expectations. It is reminding us that our worth has been forgotten. I do understand. But believing you are enough doesn’t admit your inherent need for others. Believing you are enough doesn’t admit your need for the Divine. I cannot do it all. I literally cannot. I only have one body, one mind. I only have 24 hours in my day. I am only capable of being in one place at a time. Unlike God, I cannot be all things to all people. Admitting this is not a detriment to my self-esteem. It is an enlightened self-awareness. It fosters a great amount of freedom, clipping the binding ties of strife and disappointment. I am not enough. I am a member of a marriage, of a family, of a friendship, a community, a church, a team for that very reason. While I will always work to be my best, I will not misguidedly carry the weight of striving to be enough. I am not enough and I am happier for knowing it. There’s a quote from Flannery O’Connor that resonates with me as a writer: “I write to discover what I know.” Within the act of writing out my thoughts on a matter, there is often a sorting-out that occurs. Clarity arises. In writing a fiction story as well, certain ideas give me pause, making me question where the words came from within me. Writing teaches me a lot about myself. This morning, that quote came to mind after I spent a bit of time in prayer. I thought how appropriate it’d be to say instead, “I pray to discover what I know.” Because sometimes – not all the time, but sometimes – at the close of your prayer, you are left with nothing more than what you know, and that is enough. I stared at the sunbeams. I stared at the clouds. I stared at the barely-there waves lapping the beach. Then, I prayed. My family was exchanging text messages for the past hour or more as my oldest sister Cheryl prepared for her latest doctor appointment in Milwaukee. Today she’ll have a biopsy of one of the growths they’ve found, then she’ll wait approximately a week while it is analyzed to determine the exact type and stage of the cancer that has spread throughout her body. I know that God is our father. Our perfect father who has us in his care at all times even as he allows our free will and the natural world to run their course. I know that God provides our daily bread. He places in our path the people and resources and situations to meet our souls’ and bodies’ needs. I know that Jesus listens to the prayers of his family, and that like any Queen Mother who has the ear of her son, the King, we have Mary praying for us at Jesus’ side. I know that God – the Holy Trinity – is worthy of all glory and praise. I know that he is unchanging, all-powerful, infinitely wise, and good without exception. I don’t know what answer God will give to our family’s prayers, but I do know He’ll answer. Sometimes it only takes three minutes of prayer time and some stunning sunbeams to help us discover what we know. For the past week, I have woken up sad, or angry, or worried. As often happens, the mindset with which I awakened then lasted for the day. I carried myself through the workday, the tasks of home life, and even enjoyable time with my family, all with the sadness or anger or worry somewhere between the background and foreground. Yesterday though, I woke up grateful. Let me back up. A few weeks ago, my sister Cheryl, the oldest of our seven-sibling bunch, was diagnosed with cancer for the third time in eleven years. It was last Wednesday that she was informed that the cancer was not localized in one spot like the prior occurrences but had metastasized to numerous areas of her body. She’s still waiting to find out if the cancer is treatable at this point, and what the treatment plan could be. So, that’s the basics of where the sadness, anger, and worry were coming from in recent days. I’ve written plenty of posts about mindset and perspective, and their critical role in handling all that may or may not come our way. I’ve written about choosing hope and joy and peace even when our emotions resist. I’m not sure how much I’ve mentioned the need for it all to be genuine though. And in order for the hope and joy and peace to be genuine, sometimes you have to slog through the other realities first. I allowed myself to cry. Alone, with my siblings, at my office desk with my head bowed. I avoided conversation and interaction with people to some degree. I took every hug my husband offered and wet his shoulder with a few tears. I sipped on a couple more drinks than I normally would in a week’s time. Truthfully, I didn’t really try to climb out of the initial reactions. I wasn’t striving for anything other than letting myself feel the sadness and anger and worry. But you know what else I’ve mentioned on this blog before? Maybe more than a few times? That God knows better than we do. God’s eyes sees farther down the road than our eyes can see. God’s mind comprehends realities that are beyond our grasp. God’s wisdom is untainted and unbiased. God is never, never caught by surprise. So yesterday, by His grace, I woke up grateful. My eyes fluttered open to see the last pink streaks of sunrise out our bedroom window and my spirit felt happy. There have been plenty of moments in the past week that I’ve felt happy, but it has consistently been happy and. Happy and still feeling the rest of it. In that first waking moment, this time I only felt happy. Just happy. The other things came charging at me within seconds, but that moment lasted long enough for me to recognize the gift. Long enough for gratitude to rush in ahead of the rest. God knew. He knew I needed the gratitude to shape my perspective as I continue to feel everything else. He knew I needed the thankfulness to feed the fortitude to be there for my sister in whatever lies ahead. Last night, mixed in with prayers for Cheryl’s healing and strength, I added a new prayer. I prayed that I would again wake up grateful. And this morning, I did. Today’s Gospel reflection for Catholicmom.com is from yours truly. I wrote it a few months ago actually. Rereading it this morning when it was published, I’m struck by how the Holy Spirit knew that even I would need these words at this time. Perhaps they’ll mean something for you too. Today’s Gospel reading is Matthew 7:6, 12-14. Click here for my thoughts on the Lord’s words about the narrow path of discipleship. Those lines had my brain rolling along for a bit. Thoughts arose of confidence and self-doubt, of faith and discouragement, and the roles they play in achieving our goals. The children’s diddy oversimplifies the concept, of course, but it does speak a nugget of truth: our mindsets drive our actions. There is only so far you can take yourself toward a goal you don’t believe you can achieve. On the flip-side of that coin, there are few forces that can defeat you when you believe you can succeed no matter what. Confidence is born of faith. Faith in the abilities and passions God instilled in your unique self. Faith in your willingness to try. Faith in God’s promises to be your strength and wisdom. Faith in your destiny to make a unique, unrepeatable contribution to the lives of anyone within your reach. If you know who you are in the eyes of God, if you know your Maker and therefore your makeup, it is not vanity to believe in yourself. Instead, it is foolhardy to doubt. This is one of my favorite photos. Sure, I have others that better capture my children’s faces and smiles. This one, though, captures life. Some things have me thinking hard on the matter of life. It started with the suicide bomber cruelly choosing the concert in Manchester as his target and killing twenty-two adults, teens, and children. It continued with the news of the twenty-eight adults and children violently martyred in Egypt when they refused to deny their belief in Christ. Numerous others were injured in these attacks. Countless more were directly affected and traumatized. And so, I think about life. Life as it is now, in this world in which my husband and I are raising our little children. In the midst of this thinking, I came across that photo. 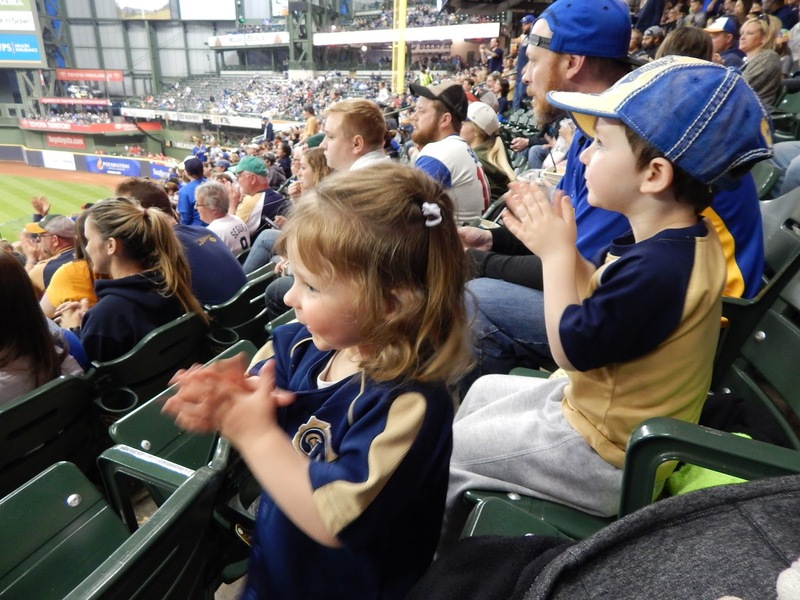 It’s a recent one, taken at my kids’ first time at a major league baseball game. All I have to do is look at it and I relive that night. We bought the tickets on a whim when we saw a low cost deal for some upcoming games. I was excited, as I always am when I attend a baseball game, but I was also worried. Would the kids enjoy themselves or be overwhelmed by the size and the noise of the place? Would they get bored and whine? Would they complain about having to stay in their seats for too long? Would they be too tired the next day? Typical motherhood worries. My worry was silenced by their wonder: the wonder on their small faces when we entered the stadium; when the crowd stood clapping for the first time; when the fireworks were lit to celebrate each home run; when my son kept his eyes on the pitcher and batter as I explained a little of the game and he was rewarded with witnessing a hit to the outfield; when the racing sausages and the 7th inning stretch brought everyone to their feet in unity. The pair of them enjoyed every minute. They were thrilled at being part of something so much bigger than themselves. So many things could have gone wrong. They didn’t, but they could have. I think of the dozens of concerts my friends and I have attended from the time we were teenagers to the present without a doubt that we’d arrive back home safely. I think of the pilgrimages we’ve made to churches and retreats without the looming threat of being attacked for our beliefs. I think of the number of people in that baseball stadium with no thought of whether or not someone might make us a target. So many things could go wrong. If the fears and worries win, we must withdraw from what is bigger than ourselves. That’s what it comes down to, I suppose. Being part of what is bigger than ourselves is at the heart of life, and life cannot be sustained without the heart. I have a love affair with rocking chairs. They are the bubble baths and comfort food of the furniture world. It is a dream of mine to own a home with enough space for rocking chairs in nearly every room, plus the front porch and back patio, of course. I was in an airport once that had a row of about twenty white rocking chairs facing the windows, backs to the bustling crowds. The time spent there waiting for my flight was one of my trip’s highlights. There are days when I have a hard time slowing down to pause with my family instead of continuously attacking my to-do list. If I can direct myself to a rocking chair and sit, I am much more likely to lengthen the pause. Balanced by the rhythm of the chair, I can breathe a little deeper and allow my heart to feel content. As human beings made by God for life with God, we crave contentment. We long for the peaceful satisfaction that can only come in full when we reach our eternal home. Oh, but how great a share of contentment can be ours now! We must pursue contentment. The usual take on the matter tends more toward the idea that we have to stop doing, stop moving, stop trying at so many things if we are to experience contentment. Essentially, we must simply do less. We must suspend our pursuits. I am suggesting that we need not suspend, but rather change. Change what we are doing; change what we are moving toward; change what we are trying at if we are to exist in a contented state. “Godliness with contentment,” i.e. becoming our true, full, made-in-God’s-image selves with peaceful and grateful hearts and minds: this is a goal worthy of us all. It requires a purified perspective on life’s genuine needs and true purposes. Pursuing contentment means rooting out the things that detract and distract from contentment. What those things are will vary from person to person, and even change from year to year during the course of life. Right now, for me, the biggest detraction is things, literally. Stuff. Unnecessary belongings taking up the precious space of our family’s small home. So, I am pursuing contentment. I am detaching myself from objects. I am realizing what we don’t need, or even want. I am letting go and clearing out, and it is a relief. This process is leading me to greater satisfaction with our home and gratefulness for our needs being met. It feeds contentment. Your pursuit of contentment may look quite different than mine. It could be detaching yourself from damaging relationships. It might involve setting your feet toward a calling that requires the sacrifice of a comfortable (or dissatisfying but secure) job. Maybe it is changing the way you spend your time, or doing whatever is needed to eliminate immoral habits. Maybe it is taking an honest look at how you treat yourself and your body, then altering both your perspective and your actions. Contentment is blocked by a variety of things but it coexists consistently with three things: detachment, gratitude, and perspective. Cultivate these and contentment will sprout in abundance. 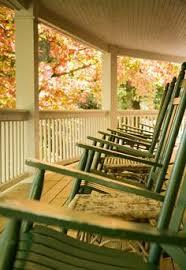 Meanwhile, if you want to feel the contentment as it takes root, I recommend a good rocking chair.